Do Not Track Browser – How Will It Impact PPC? Recently, the FTC has been urging the Web industry to come up with tracking protection from online advertisers. Similar to the “Do Not Call” list that the public can put themselves on to avoid telemarketing, people will soon be able to opt out from having advertisers track their web surfing with a “Do Not Track” function in their browser. My question is: Do internet users really want to opt out? According to the Los Angeles Times, 67% of internet users are opposed to targeted advertising – in my opinion this is a shocking statistic! I would much rather see advertisements that are of direct interest to me as opposed to random ads that have little or no relevance to my life. Of course, there are those annoying advertisers who do not restrict the amount of times that you see their ads and appear to be web stalkers. Instead of promoting a “Do Not Track” browser, does it make more sense to just promote an easy one-click way to clear your cookies and cache? 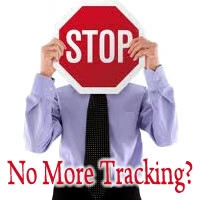 So what effect would a “Do Not Track” browser have on the pay-per-click (PPC) advertising industry? It is possible that it would be detrimental to many aspects. Remarketing, conversion tracking as well as analytics to name a few will no longer be completely reliable tools for advertisers to accurately measure the success of their campaigns. However, I believe it will have less of an impact than people are speculating. The “Do Not Track” browser option seems similar to the launch of Google Instant which caused quite the uproar in the PPC industry at first, but seems to have fizzled out with little damage. For the average, every day user, I believe it will go unnoticed and the PPC industry will see little to no effect. It will be interesting to see the reality of the “Do Not Track” browser once it is implemented. But as for myself, I happily agree to be a focused target of PPC advertisement. So what effect would a “Do Not Track” browser have on the pay-per-click (PPC) advertising industry? It is possible that it would be detrimental to many aspects. Google AdWords Remarketing, conversion tracking as well as analytics to name a few will no longer be completely reliable tools for advertisers to accurately measure the success of their campaigns.